Guilderhaven, inc. is a 501(c)(3) not-for-profit that helps the animal community. We provide low-cost spay/neuter, food, and medical intervention for the companion animals of New York residents and for wildlife. We also assist rescue organizations in this endeavor, with an emphasis on our local community. In 2018, we facilitated the spay/neuter of 472 cats and 77 dogs with the help of grants from the William Gundry Broughton Private Charitable Private Foundation, Price Chopper Golub Foundation, the Barry Alan Gold Memorial Fund, the Seymour Fox Foundation, and from generous donations from our individual supporters! 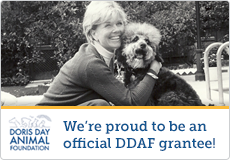 We continue our mission in helping New York companion animals and rehabilitating wildlife as well as educating the public with the help of the Michaelson Family Fund. In addition, we continue to help place animals from private homes, rescue groups and animal shelters , speak to school groups, youth organizations, and church groups, and produce an educational coloring booklet. This booklet emphasizes the importance of responsible pet guardianship and humane behavior toward animals. This year we continue our spay/neuter efforts with the help of grants from the Barry Alan Gold Memorial Fund, and the Seymour Fox Memorial Foundation. Please consider donating a tax deductible donation to Guilderhaven, inc. Copyright © 2012, Guilderhaven, inc.. All rights reserved. click here.